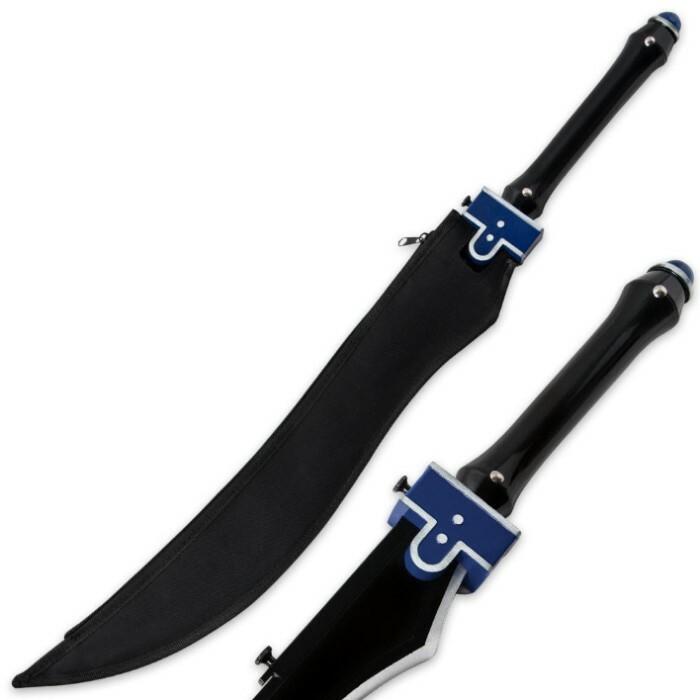 Look no further for your next anime fantasy sword acquisition! This instantly recognizable Legendary Heroes sword features a 19.75” carbon steel blade with a black hard coat finish. 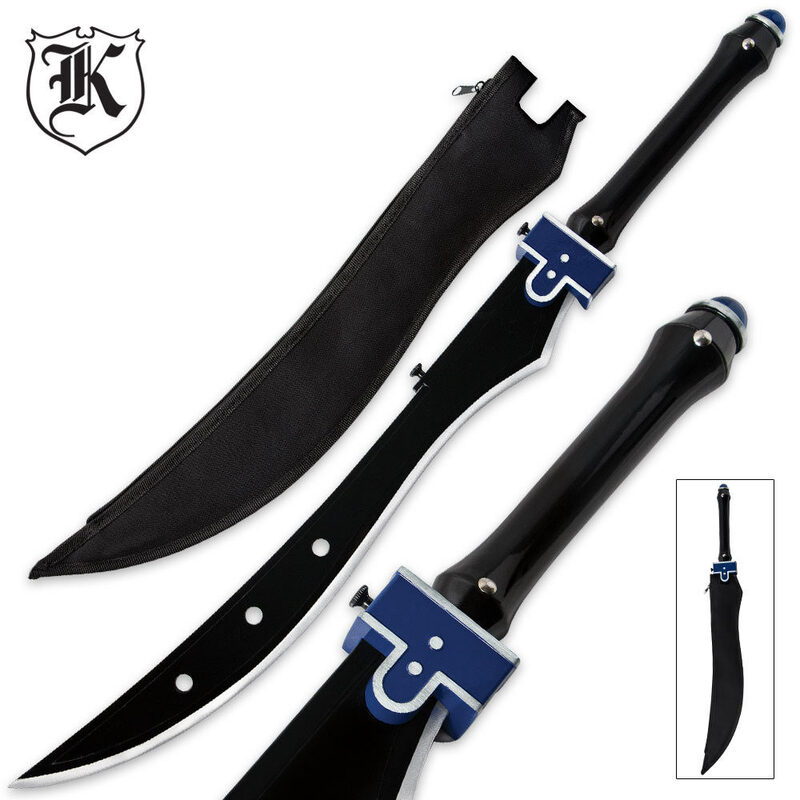 The fantasy-style blade features flared edge and cut-out designs. The Black and blue handle is accented with silver-tone trimming and a blue marble-like pommel. It measures in at 29.5” from end to end and includes a nylon zip sheath. This would be higher except the sheath is awful. It came in the sheath obviously but when I picked it up it fell right out of it. The only way I found it to stay in was it I forced it inside (Which broke the Sheath). Decent Sword terrible sheath. I'd still buy it for the price but I expected better. This sword is quite heavy and solid. The edge didn't come sharp on mine though. It was bigger than I expected to my delight. Very good sword overall and an interesting addition to my collection. Such a low price too. Okay, first of all this sword looks pretty darn good, comes semi-sharp, and feels solid in the hand, it's billed as a carbon steel blade but no comment or specification on the tang, I'm inclined to believe it's not full tang, but again, not sure, there are bolts in the handle that hint that it may be full, who knows, but the very first thing you'll notice is the weight of the darn thing, it's HEAVY, way more than you'd expect, the guard is hollow but sturdy steel. TLDR; looks good, heavy af.